On Thursday 20 June, Charbel Nehme will spend the longest and coldest night of the year sleeping on the concrete at White Bay Cruise Terminal in Sydney as part of the 2019 Vinnies CEO Sleepout®. Why? To raise funds to address homelessness in our community. 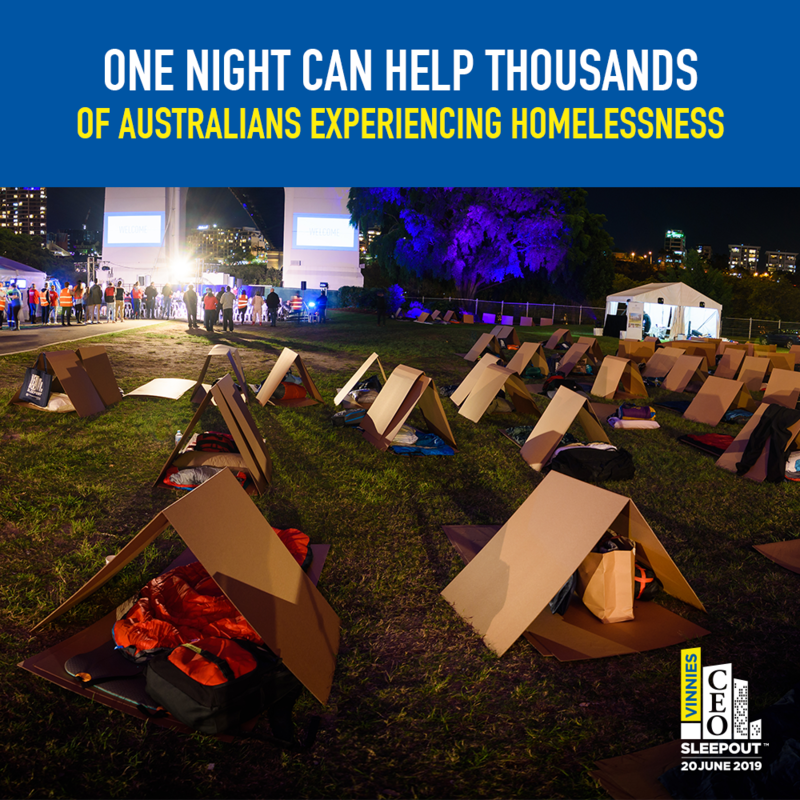 More than 116,000 Australians experience homelessness every night, and 32 percent are children. Your donation will go towards crisis accommodation options for families and individuals at risk of homelessness, case management and counselling, educational and living skills courses, health services and home packages for those people Vinnies helps transition to housing. To reach our fundraising goal, we need your help. Donations are tax deductible and can be processed online.